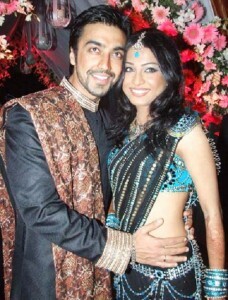 Aashish Chaudhary was born on 21st July 1978 in Guwahati, Assam state. He started his career as a fashion model and later landed in Bollywood films. His acting debut was with TV show Humko Ishq Ne Maara in 1997 performing the role of Abhimanyu. His film debut was with Chalo America in 1999 co-starring Deven Bhojani and Mandar Shinde. He subsequently appeared in numerous commercial hits like Qayamat: City Under Threat co-starring Ajay Devgan, Sanjay Kapoor, Sunil Shetty and Arbaaz Khan, Dhamaal co-starring Ritesh Deshmukh, Javed Jaffrey, Arshad Warsi and Sanjay Dutt, Paying Guests co-starring Vatsal Seth, Shreyas Talpade, Javed Jaffrey and Celina Jaitley, among other films. 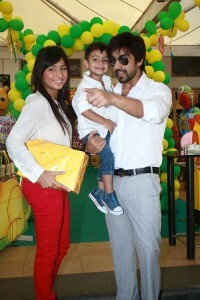 He was born to Indur Chaudhary, a successful businessman. He lost his sister Monica Chhabaria and brother in law in terrorist attack in Mumbai’s Trident Hotel on 26/11/2008. 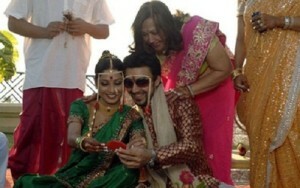 He is married to Samita Bangargi Chaudhary since 2006. The couple gave birth to a son named Agastya in 2009 and twin daughters named Salara and Sammah in 2014.